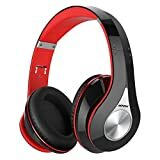 Wireless Bluetooth Over Ear Stereo Foldable Headphones, and Wired Mode.. These days, it seems like most people take their music on-the-go with them, whether on a dedicated mp3 player (like an iPod), or on a smart phone. It’s a great convenience, but the headphones that many devices use are anything but convenient. They get tangled up easily, and they can get snagged or tripped over (which is both inconvenient and can damage the music player). 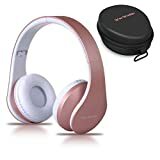 Wireless headphones eliminate these problems, while still allowing the user to listen to his or her music while on the go. Depending on the model, they can also be used at home to watch television without bothering others (for instance, if you like or need to have higher volume than other people in the house, a set of wireless headphones allows you to listen to the program with the sound turned up, without everyone else having to hear what’s going on). If you’re interested in buying wireless headphones, here are some tips for finding a good pair. 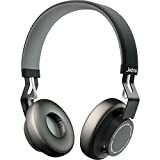 Noise cancelling: For many people, these are considered the top-of-the line headphones. Noise cancelling headphones fit all the way over the ear (sort of like a pair of earmuffs) and block out almost all external noise, allowing the user to get the most out of the music. 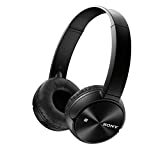 Noise cancelling headphones are a great option for people who are really into their music, and also for people who don’t want to disturb others. The seal they make around the ears reduces the amount of sound that escapes into the room. Earbuds: Earbud-style headphones will be recognizable to people who own iPods or other mp3 players—they use small bits that slide into the ear canal. 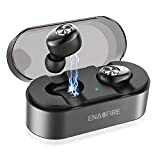 Earbuds tend to be cheaper than larger headphone styles, and their smaller size makes them a bit sleeker, more portable, and less obtrusive. Sound quality: This shouldn’t come as a surprise—the most commonly discussed aspect of headphones is their sound quality. There isn’t really any point in spending good money on a pair of headphones that can’t deliver. The best models produce excellent, clear sound. Hissing: Hissing is a result of a number of factors, but the biggest one is the connection that the headphone makes with the music source. Better models make a strong connection, which means less distracting white noise for the listener. Batteries: As with most electronic devices, battery life is a key quality. People don’t want to have their headphones cut out in the middle of a favorite song or program, which is why the best-rated sets tend to have long-lasting batteries that can provide hours of entertainment before they need to be recharged. Devices: There are many headphones out there that will work with a range of devices, but some are designed to be device-specific, only working with one particular brand (or at least working best with that brand). Before buying a set of headphones, make sure that it is compatible with your particular device. Bluetooth: This isn’t an absolute necessity, but it’s a very helpful feature. 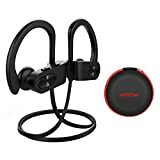 Many headphones also have Bluetooth capability, which allows people to use them as headphones as well as a cell phone accessory. Range: If you plan on using your headphones with the mp3 player that you keep in your pocket, then just about any headphone model should work. 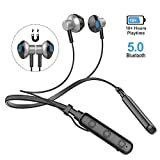 But if you plan on using your headphones with, for instance, your television, you’ll want to check out the product specifications to see how far away from the device you can be and still get a strong signal. Power source: Before purchasing a set of headphones, check out how it is powered—does it use a rechargeable battery, or does it use batteries that will need to be replaced (or taken out and recharged by the user)? Sennheiser: Sennheiser is a German company that specializes in audio equipment. Founded in 1946, today the company offers a wide range of headphones and amplifiers, microphones, and equipment for video and audio conferencing. 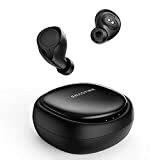 Melodeez: Melodeez specializes in producing wireless headphones for use in the car; their headphones are specially designed to work with in-car televisions and DVD players. Jaybird: Jaybird is a company that specializes in athletic equipment and accessories; their headphones can be used by all listeners, but are especially well-suited to people who want to listen while on a run or while working out. Jarv: Jarv is a manufacturer of Bluetooth headphones which allow users to listen to their music and make necessary calls while on the go. 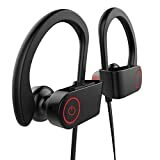 66 Audio: 66 Audio specializes in wireless Bluetooth headphones for people with active lifestyles.